With its smooth lines, simple curves and low-energy heating, Bow brings great design to the world of towel dryers. Let’s face it: towel dryers have never exactly been regarded as a highlight of bathroom interior design. They take up space, use up electricity and their design is – at best – rather bland. Bathroom interior suppliers INR wanted to change all this, and asked us to help them create a space-saving, energy-efficient towel dryer with the added bonus of actually looking good. We went for a slim, vertical design with clean, minimalist lines, creating a distinct contrast against traditional towel dryers. Bow is made up of two “skis” of differing lengths, curving gracefully outward to provide convenient hooks, and providing the inspiration for the product name. Switching on the power not only dries and warms towels – it also turns on a soft LED light, directed downward for understated ambience. Featuring a variety of surface finishes – brushed or polished aluminium, white or black lacquered coating – Bow blends in beautifully or can be used to create a contrasting accent. Its eye-catching looks, versatility and low energy consumption earned it the Red Dot Design Award 2017 for innovative product design. 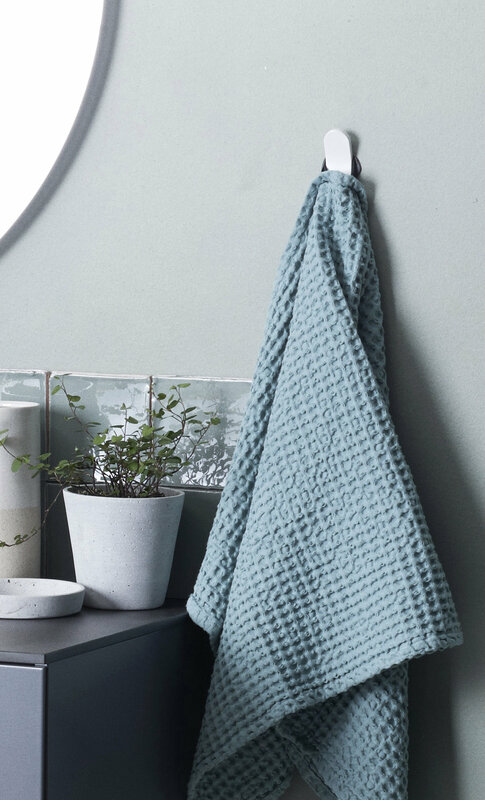 There’s nothing like a warm and cosy towel after your morning shower. BOW dries and warms towels fast, using a minimum of power. The LED on Bow’s lower end shines downward, providing a subtle, comfortable light for extra ambience. Smooth brushed aluminium or striking black and white? Bow features a variety of finishes that all work beautifully together, as well as matching hooks. IIconic Nordic Rooms’ innovative solutions give new life to Swedish bathrooms. Thanks to their pre-assembled, high-quality furnishings with intelligent details, INR has grown at an explosive rate. By drawing on their Nordic design tradition and adding a contemporary, creative twist, INR challenges the conventions of Scandinavian bathroom interiors.